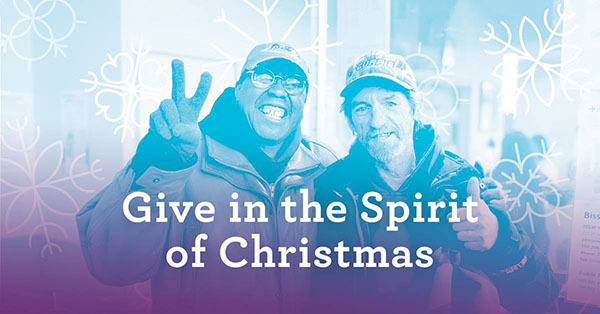 With your support this holiday season, we can make a big impact in the lives of people struggling with poverty in our community. Choose a meaningful gift from our Holiday Gift Guide to benefit individuals and families in need. Your gift will make a difference in someone’s life. 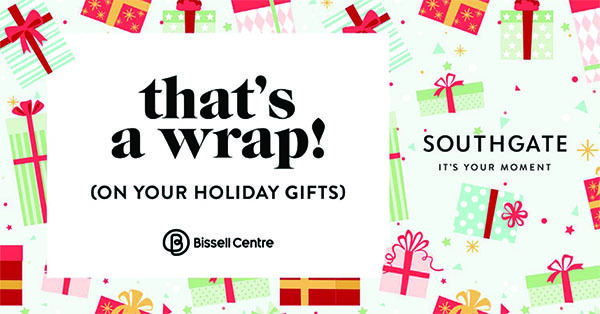 Between November 24th and December 24th, for a minimum donation of $2, have your Christmas gifts wrapped at Southgate Centre. 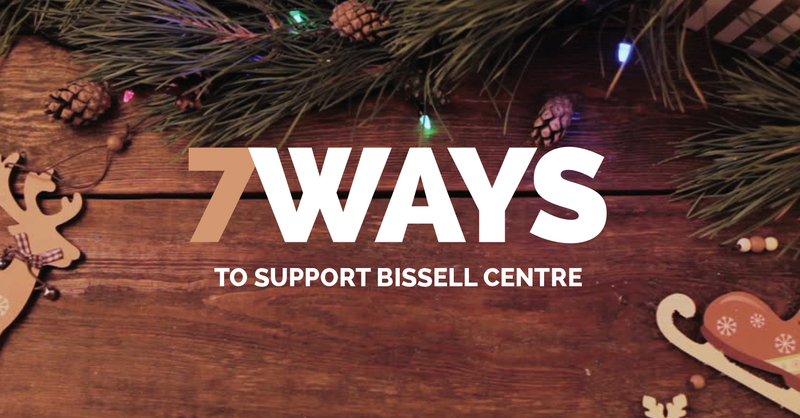 All proceeds go to support Bissell Centre’s programs and services. 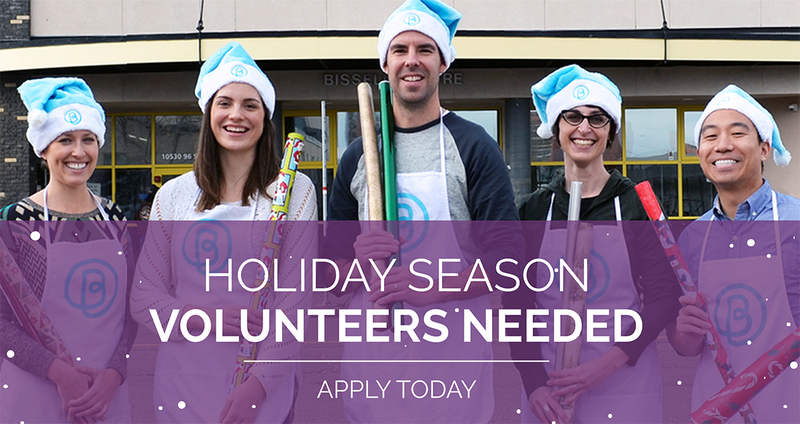 We are looking for volunteers to lend a hand this holiday season. As a “Bissell Elf” you will take part sorting donations, wrapping gifts, serving meals, and spreading good cheer alongside enthusiastic Bissell Elf Captains, who will help lead the way. 4. 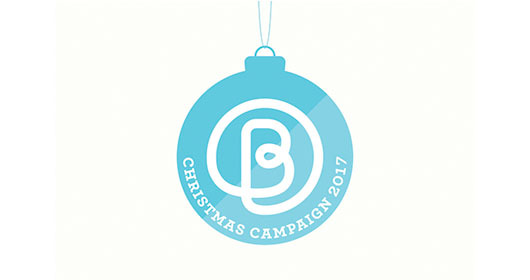 Turn Your Christmas Event into a Fundraiser! This holiday season, when you host a staff event, church gathering, or dinner party, you can also give to people in need. 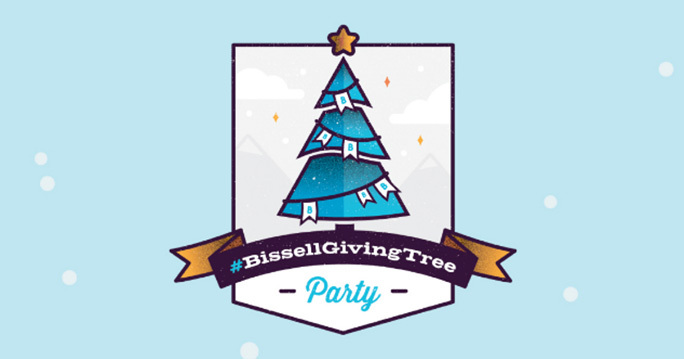 Find everything you need to host a Bissell Giving Tree Party! During the cold season, items such as gloves, mitts, and boots are critical to the health and safety of our participants. Unfortunately, the demand outweighs what we have to give. 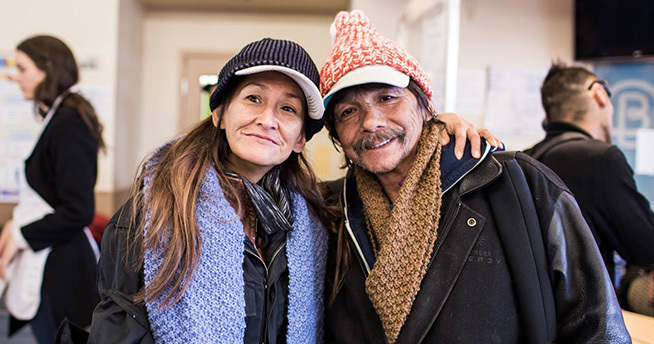 Donate gently used mitts and boots to help someone stay warm this winter. Stay tuned for an exciting opportunity to make a huge impact this #GivingTuesday, November 28, 2017!